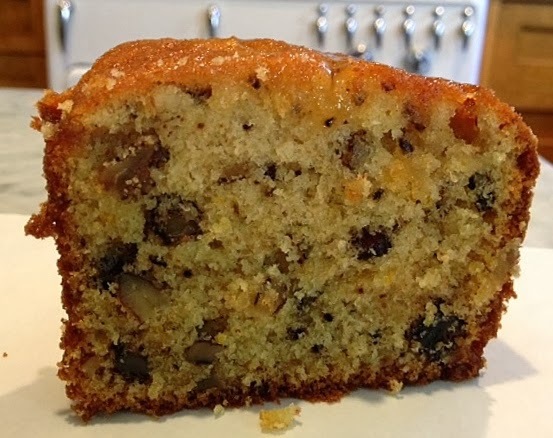 What's so good about the cake is the combination of walnuts, chopped dates and the orange glaze, making the cake not only delicious, but kind of festive too. 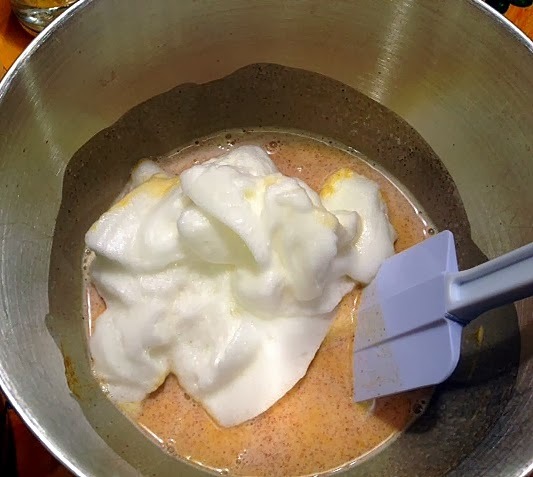 spoon it into a greased and floured tube pan. 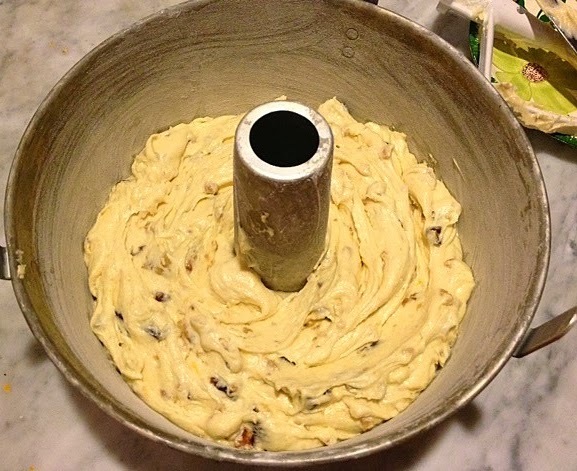 Don't worry if the batter seems scant; it will rise during baking. 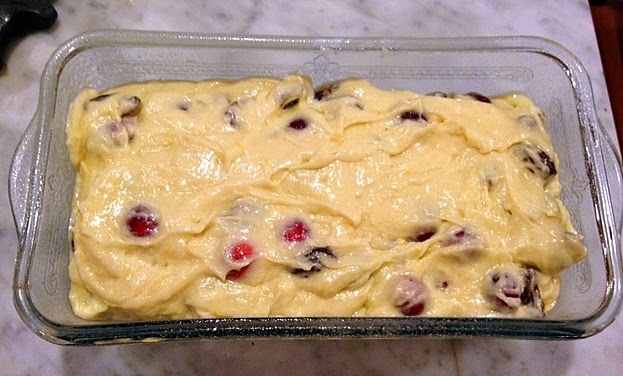 Remove from the oven, and let cool in the pan for 10 minutes before turning it out. I had to bang the top a bit lot to release it. 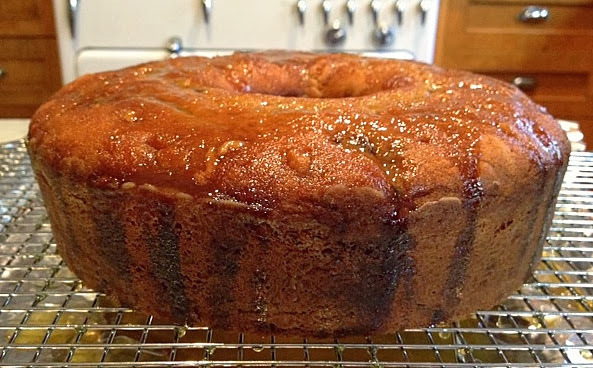 While the cake cools, begin the orange glaze. 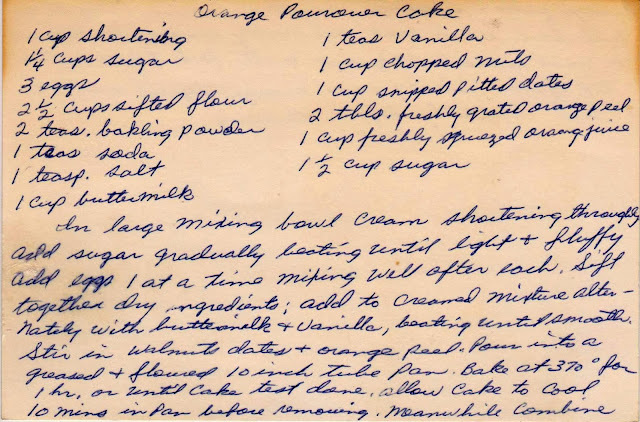 Next, take a long skewer and pierce the cake all over, then pour the glaze atop the cake. Keep it on a rack with some foil or newspaper underneath to catch the drips. 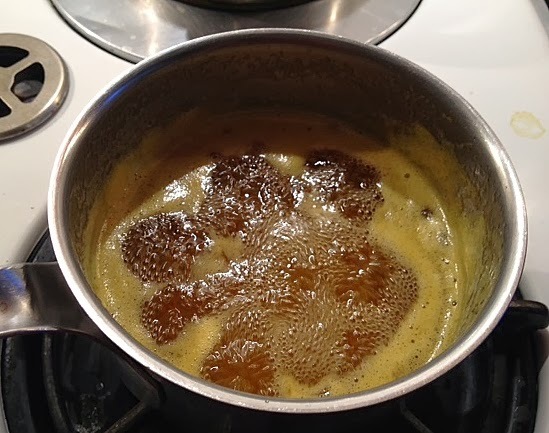 Production notes: I substituted unsalted butter for the shortening and baked it at 375 F (as my newfangled digital oven does not have a 370 F option) and had to cook the glaze longer than ten minutes for it to reduce to 1 1/3 cups. Many years ago, while visiting a friend, we got to talking about the upcoming Christmas holiday. When I asked if she was planning a big holiday feast, she said not really, that she didn't think holidays "are just about the meal." It was at that moment that I realized I had the opposite opinion -- all holidays are just about the meal, and really, little else. Raising our family in a Jewish-Catholic home, we celebrate all the holidays -- Christmas, Hanukkah, Easter, Passover, etc. without ever setting foot into a church or temple. 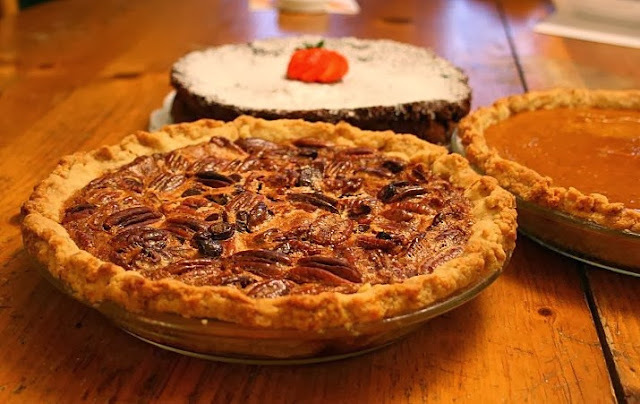 What distinguishes one holiday from another is the food. 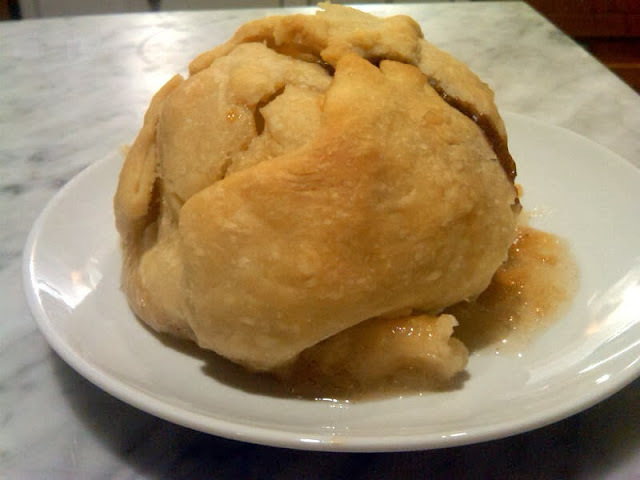 A novel, but still traditional, apple pie alternative. 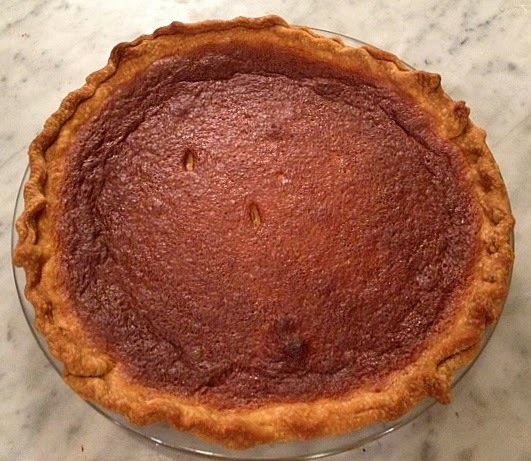 For when you want the taste of pumpkin pie, but don't want to fuss with a crust. 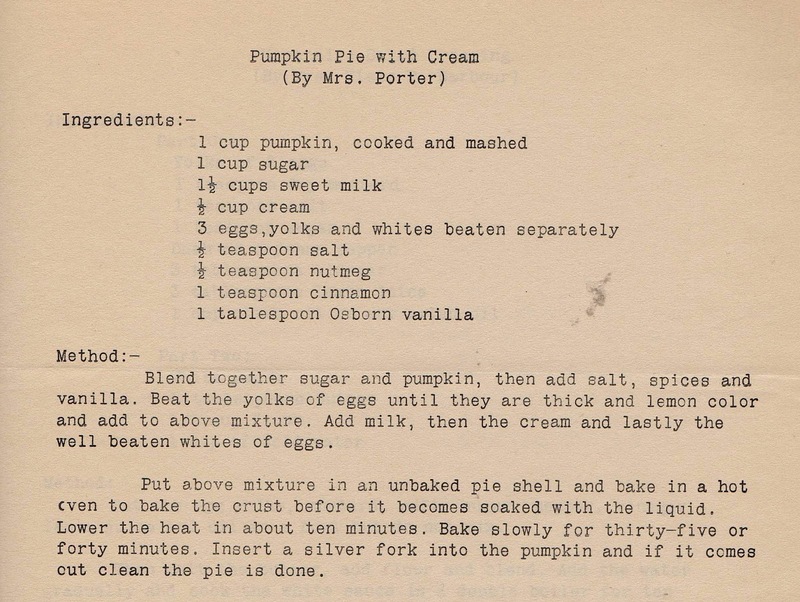 This recipe also serves about 20 (as opposed to eight, like a pie). A light and custard-y take on pumpkin pie. 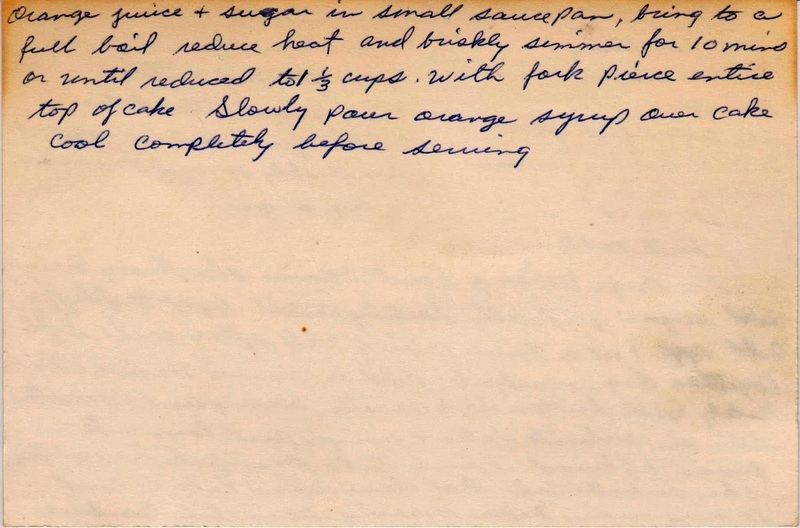 A truly delicious side dish for your Thanksgiving table. 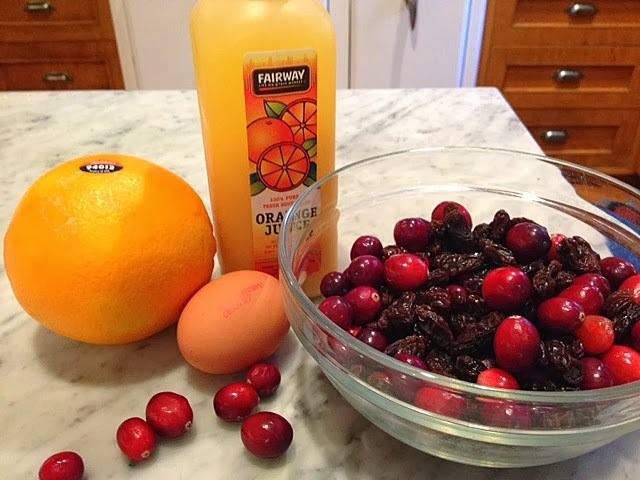 A lovely hostess gift and wonderful repository for any leftover fresh (or frozen) cranberries. 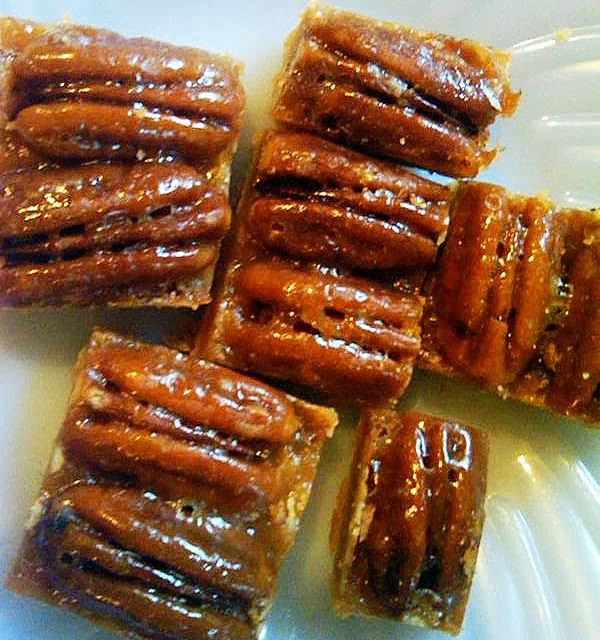 The most delicious alternative to pecan pie. 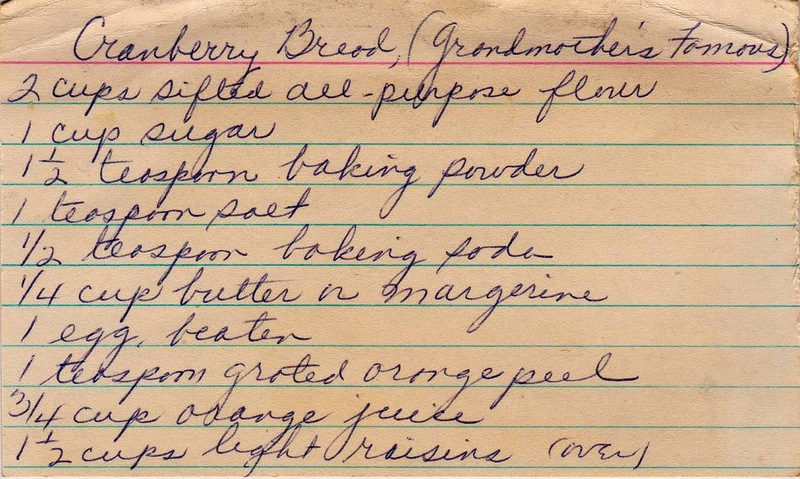 Not from a hand-written recipe, but it is old. And southern. 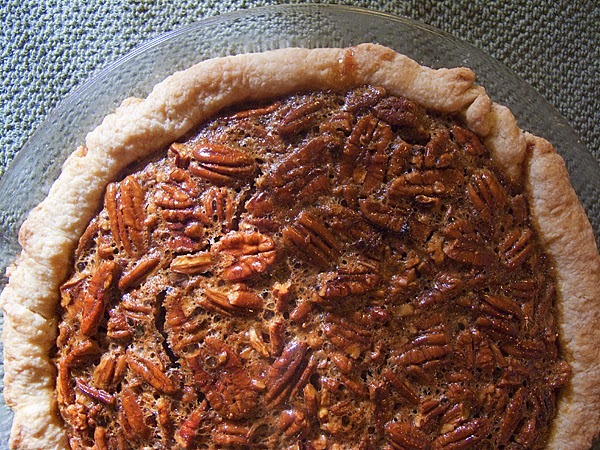 The best traditional pecan pie recipe out there. Modern, but delicious. 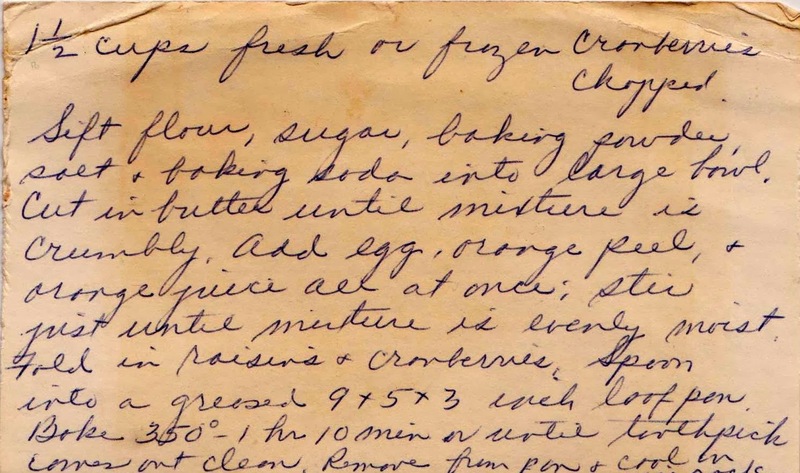 I've been fascinated with memory ever since I discovered that my most powerful childhood memory (of my mother's white blouse catching fire as she leaned back against the gas stove) never happened. 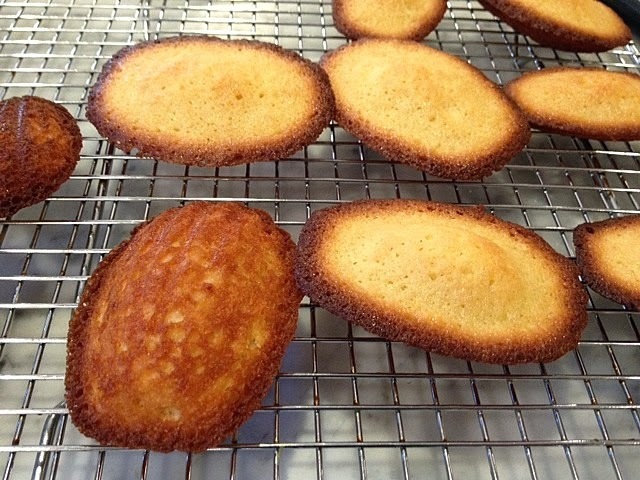 This is a long way to get to these wonderful madeleines. 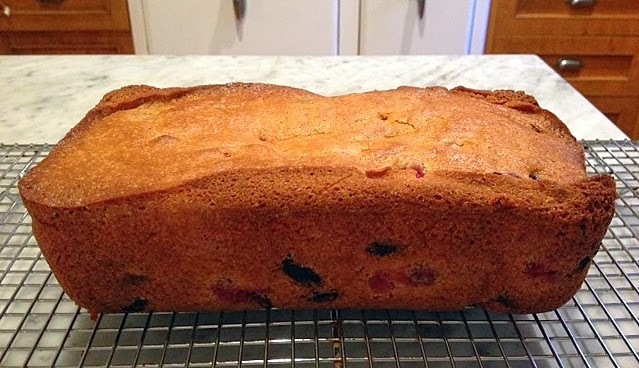 I made them this afternoon, took a bite and was instantly transported to the 57 minutes of theater bliss that is Souvenir. 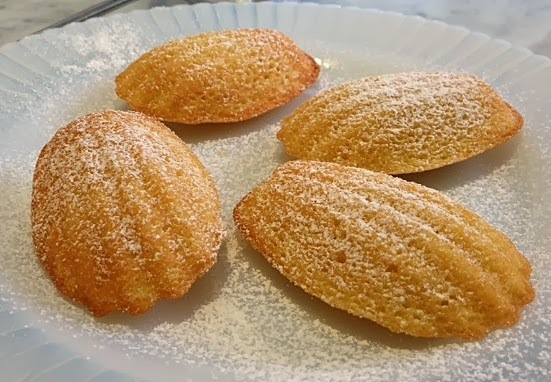 Madeleines are really, really simple to make. 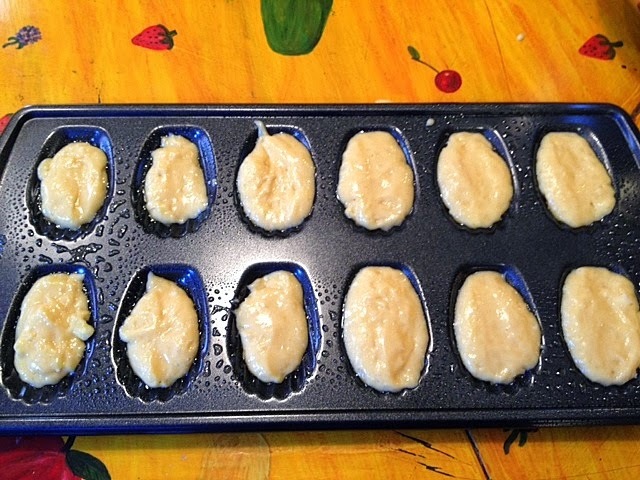 The most difficult part is getting a madeleine pan -- essential for baking these into their classic shell shape. However, Julia Child wrote that they can also be baked in scallop shells, which for me were more difficult to procure than the madeleine pan (available at Bed, Bath and Beyond). 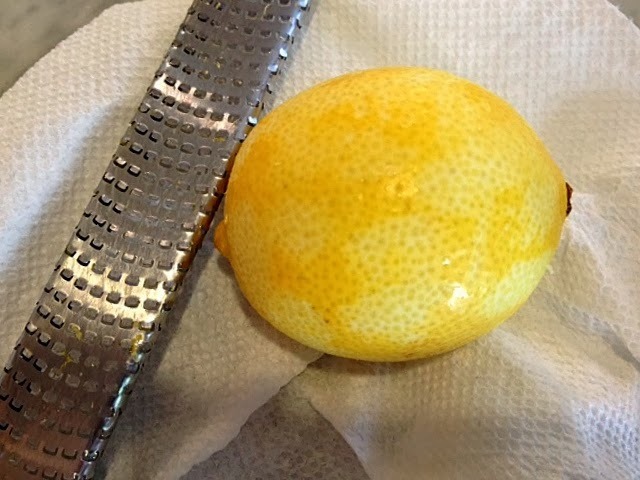 Start by zesting a lemon. 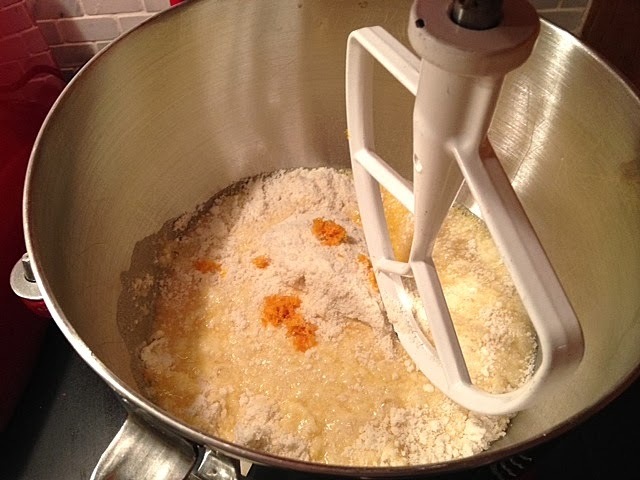 Do invest in a microplane -- though not essential, it will make this task (and possibly your entire life) much easier. 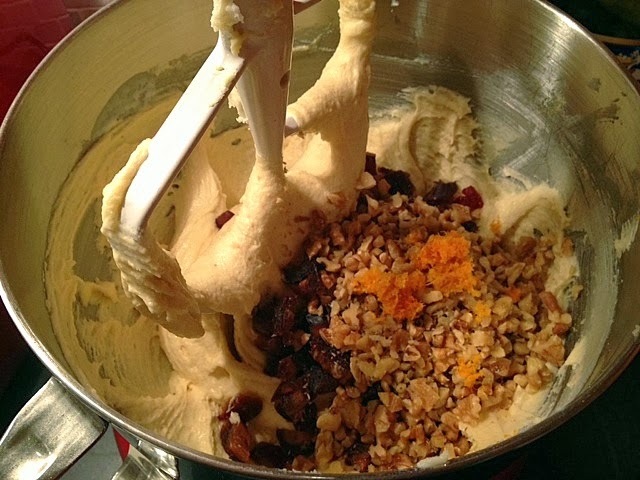 Mix up the ingredients in a large bowl. 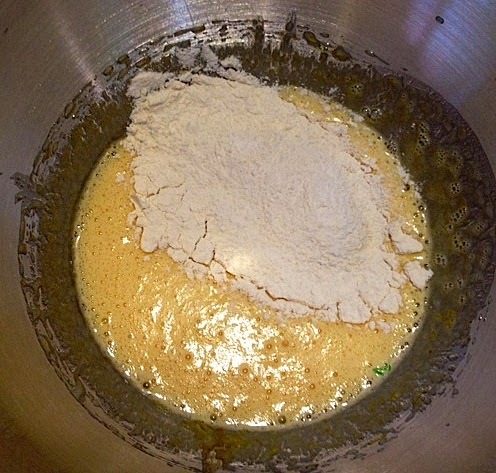 Fold in the flour carefully. 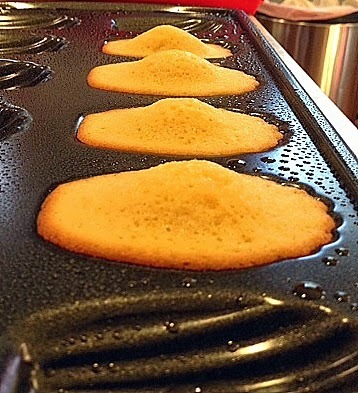 Spoon into your madeleine pan. Don't overfill as I did for most of these. 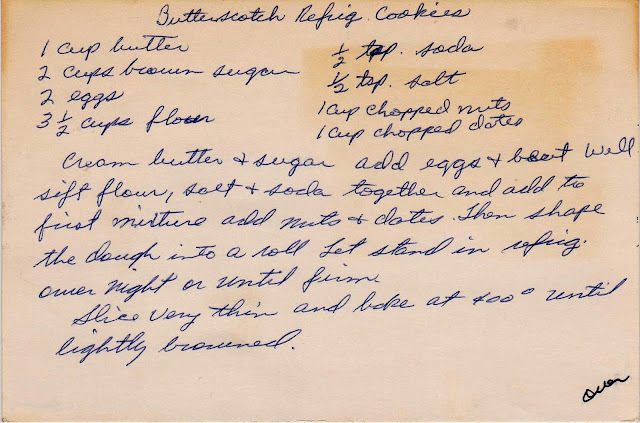 One characteristic of the cookies -- almost as essential as the shell shape -- is the bump that forms on the top of the little cakes. 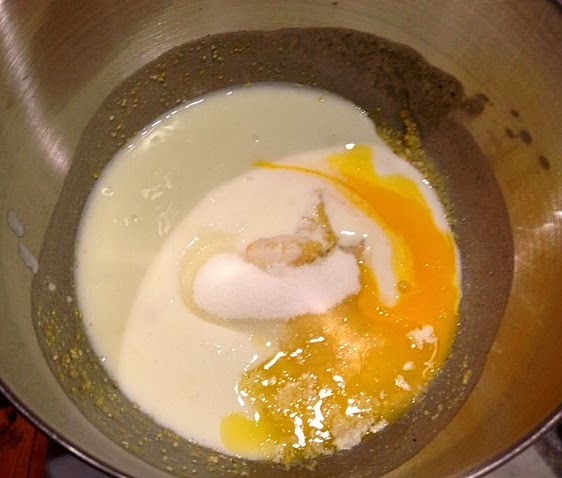 This is made easier, or more likely to happen, by refrigerating the batter for a couple of hours prior to baking. 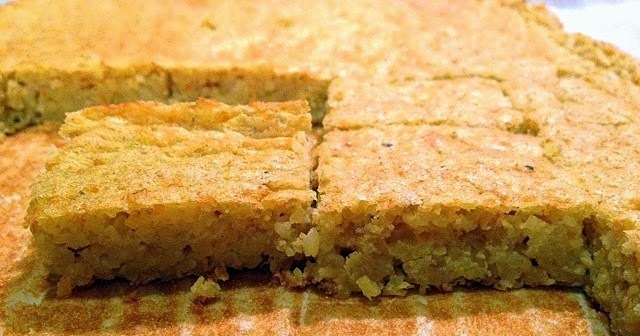 And careful about overbaking -- the ones below stayed in the oven a bit too long. Butterscotch refrigerator cookies (and others of its genre, also called icebox cookies) are the original "slice and bake" cookies. This rather brilliant culinary invention allowed one to have a secret weapon in the kitchen -- a roll of cookie dough in the refrigerator, ready to be sliced and baked into delicious, wholesome cookies on a moment's notice. 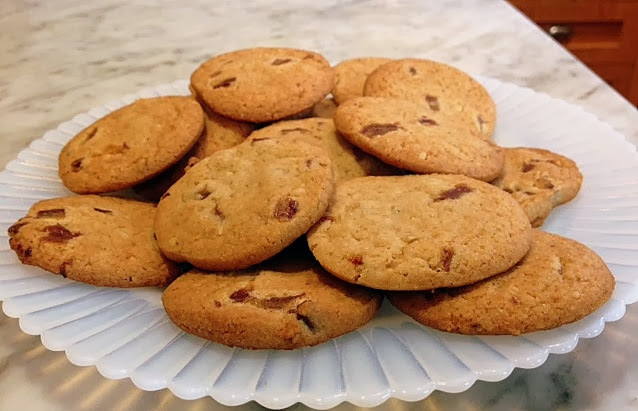 Any extras would make their way into the cookie jar, perfect for an after-school snack following a grueling day in fourth grade. 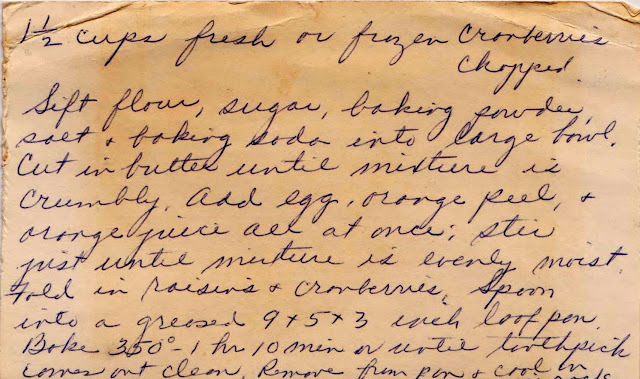 This vintage recipe is from a c. 1960s Arkansas collection I purchased recently on eBay. and form it into rolls. 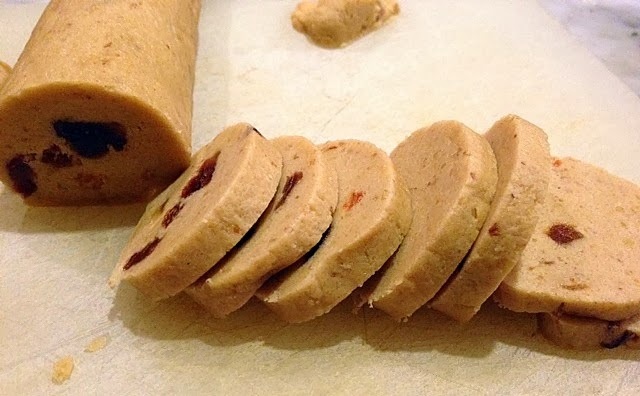 Place the rolls into the refrigerator (or icebox) for several hours or overnight, then slice the rolls into individual cookies. 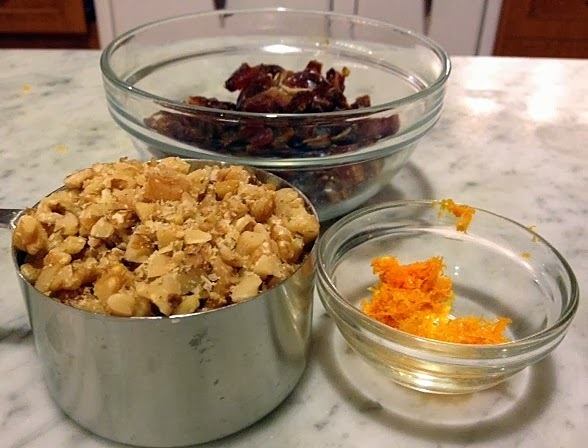 Some production notes: I chopped the nuts very, very fine, since I thought that larger pieces might interfere with slicing the cookies. That was probably unnecessary. 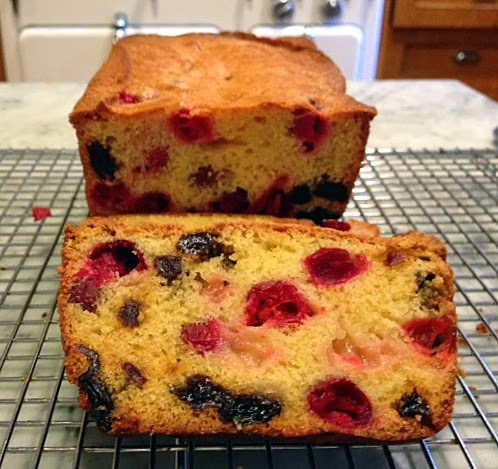 I also made most of the slices about 1/4 inch wide, not "very thin." But you can slice 'em how you like them. 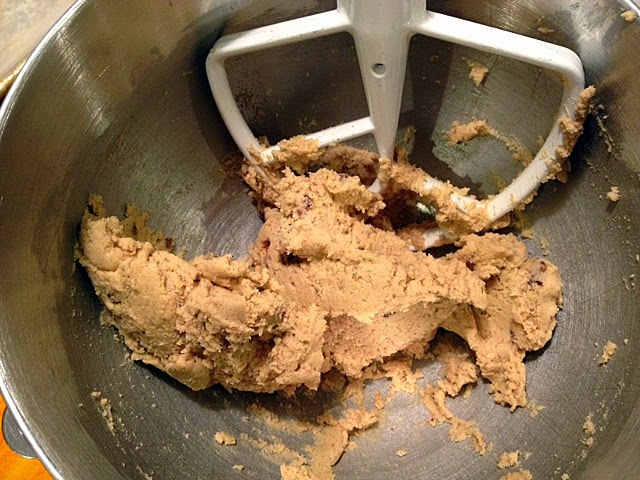 Thin slices make a crispy cookie; thicker ones are a bit more chewy. 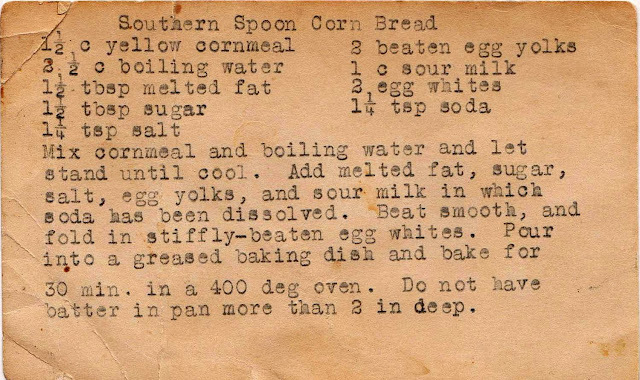 The oven temperature is high -- these bake very, very quickly. 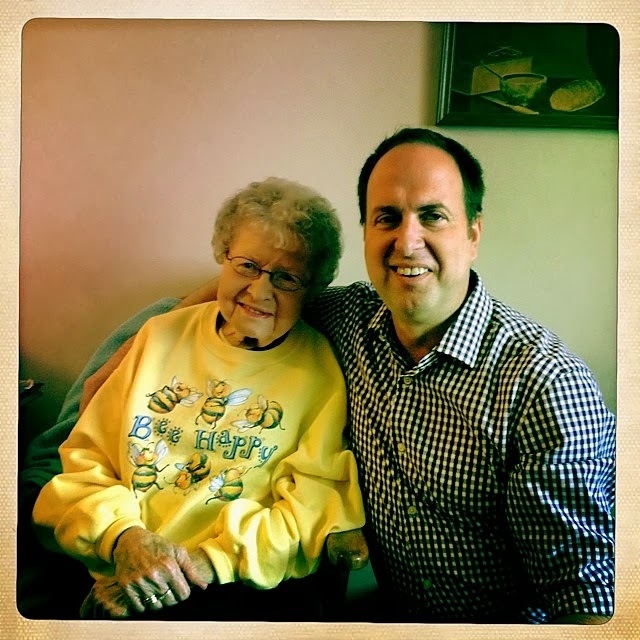 These butterscotch gems were enjoyed both in New York City and Spirit Lake, Iowa, where my friend Jay brought some on a long-anticipated visit to his Grandma Dusty. Can you believe she's 91? (And thanks to those good Weggy genes, Jay's looking pretty good for 62.) Photo by Iowa-visit-shepherd Stephen Facey. 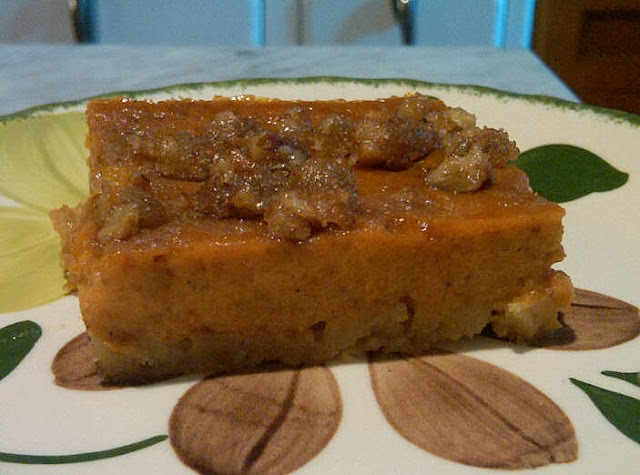 It's really, really good and would make a nice addition to the Thanksgiving table this year, if you aren't married to tradition (or to someone who is). 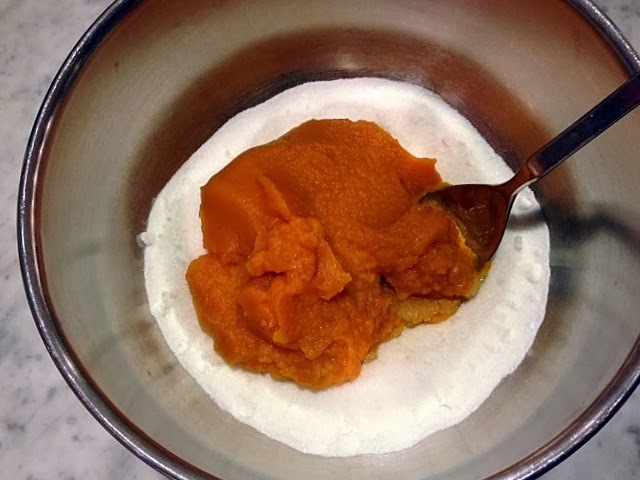 So, if you want to serve a pumpkin pie from a recipe more than 100 years old, start by mixing the pumpkin (canned is fine) and sugar. 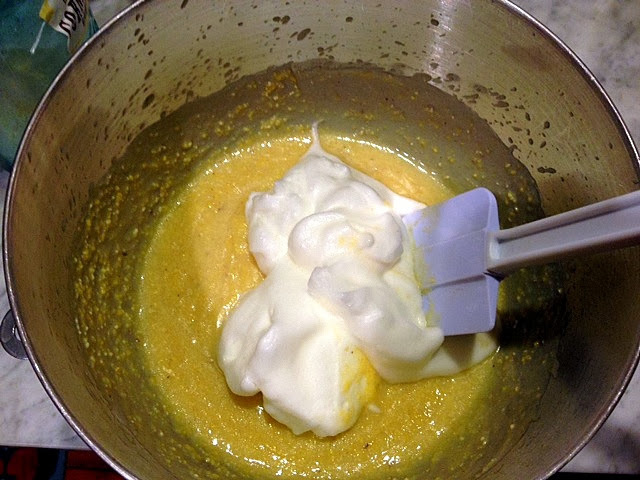 Add the pumpkin mixture to the beaten egg yolks and then add the milk and cream, followed by the whipped egg whites. 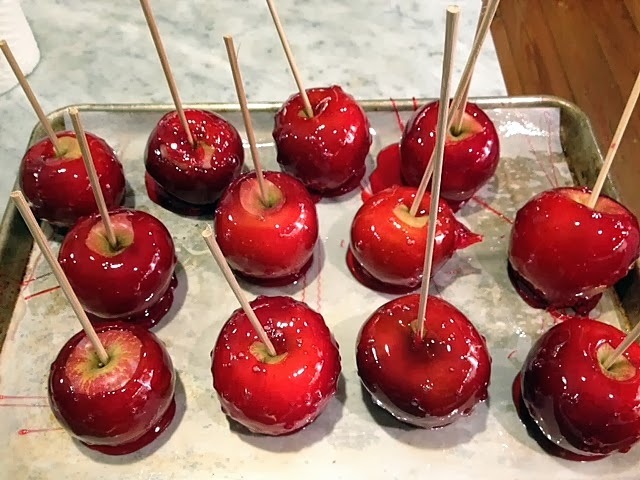 Fold those in carefully with a rubber spatula. 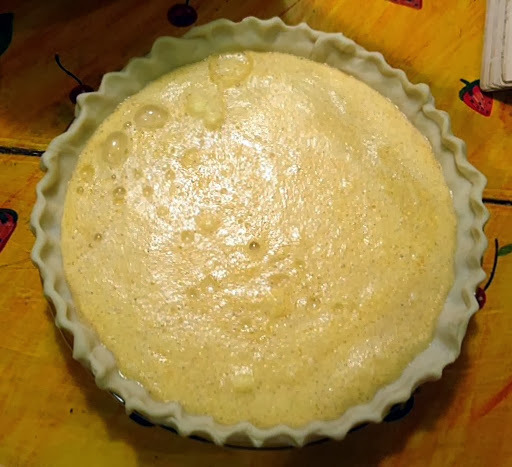 Pour the batter into an unbaked 9-inch pie crust and place in a hot oven. 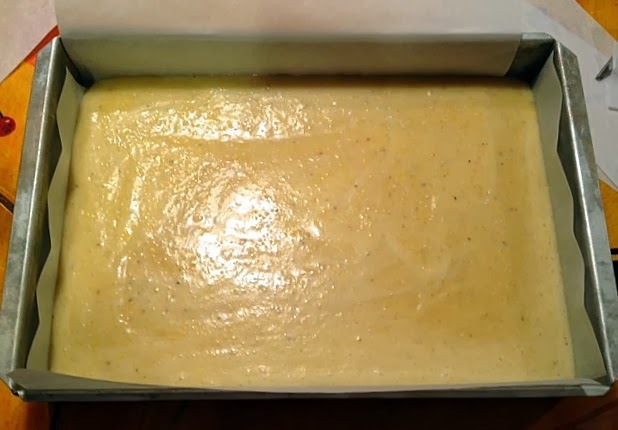 The layers will magically form during baking. 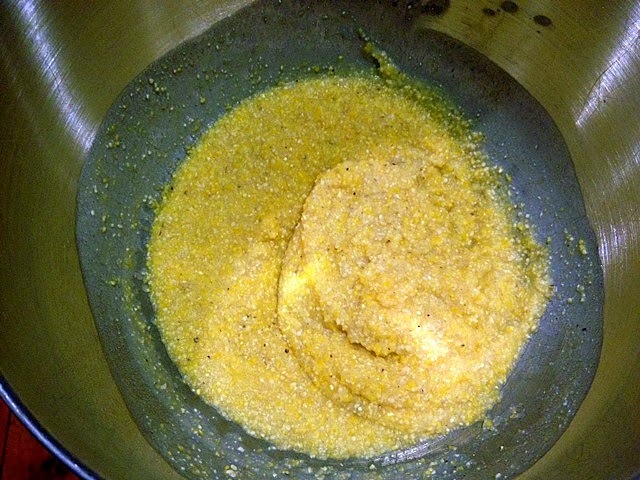 The indentations in the top are where I inserted a stainless steel knife (not the "silver fork" suggested in the recipe) to check for doneness. Cutting into the pie revealed the surprising layers. 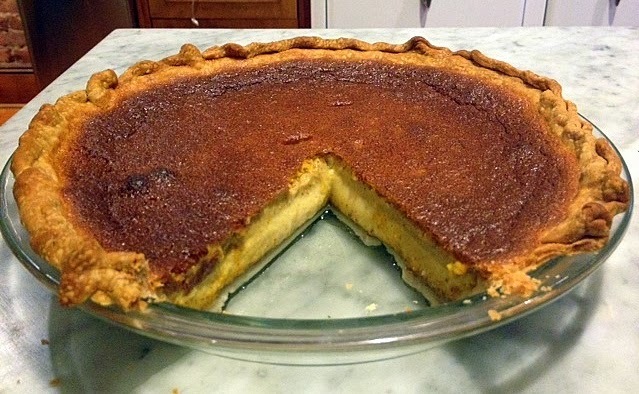 It's actually a four-layer confection: crust, egg custard, pumpkin custard and top "crust" which forms while baking. 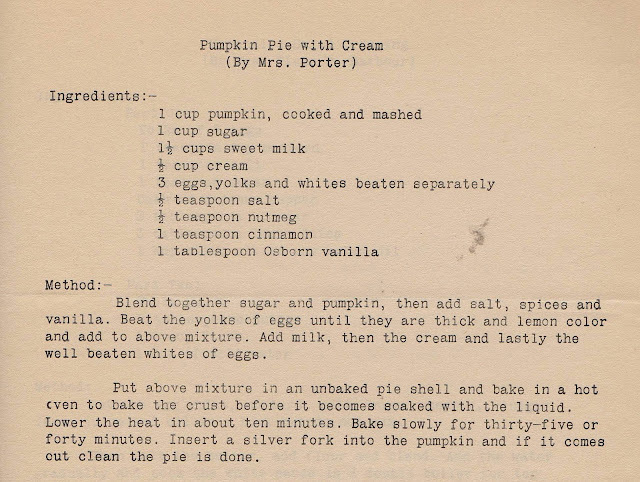 First, while the pie was delicious and worked perfectly (if, indeed, this is the way it was supposed to turn out), I only made it once, and can't guarantee its success, so baker beware. 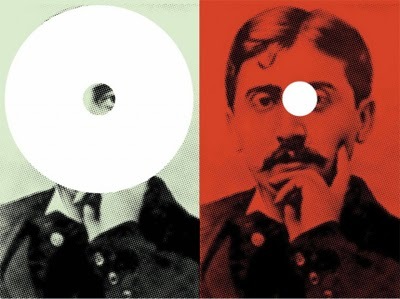 Having said that, I would make this again in a minute -- it's that good. I preheated the oven to 450 F and turned it down to 350 F after 10 minutes. 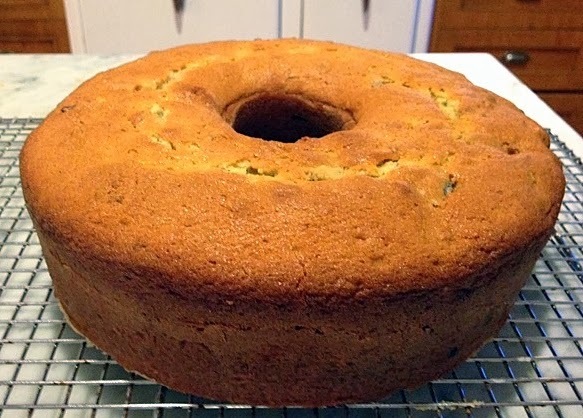 Then I baked it for 35 more minutes. There will be slightly more filling than can fit in a 9-inch crust, so you can use a 10-inch pie pan or even possibly go deep dish on this. 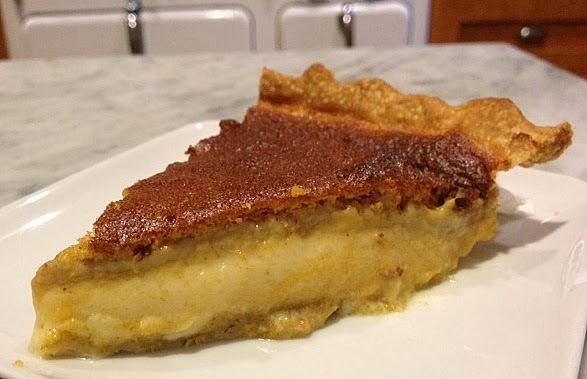 *A still traditional, but extra special pie, is Arthur Schwartz's Custard Pumpkin Pie, which I make when I have the luxury of time. Recipe is here.